Have you ever wondered what-is-goth? Welcome to what-is-goth.com. Within these pages you will find a large amount of information about the Gothic-subculture and everything anyone would need to know about it. Whether you’ve been with us since the subculture first started out, you’re just getting started in it, or are a concerned parent, there is much that can be learned on this site. So, without further ado, what-is-goth ? As far as a textbook would tell you, the Goths were one of many nomadic groups responsible for the destruction of the Roman Empire. However, as much as we’d like to boast such a deep history, there is no similarity between the barbaric Goths and the modern movement of today. We didn’t call ourselves the Goths, the name was one of many that began circulating at the time the movement first began, and ultimately was the one that stuck. Why it was chosen I honestly don’t know. It isn’t the first time that the Goths have had something named after their reign of terror. Take Gothic-architecture for instance. During the renaissance the cathedrals built in 12th century France were dubbed ‘Gothic’ due to their old style; it was granted as an insult to something barbaric (as they didn’t appreciate the style in that time). There is absolutely no connection between the nomadic tribes and the French architecture used in that time; the name was simply given and it stuck. As it pertains to today, just what-is-goth ? The Gothic-subculture began in the late 1970’s, after the punk movement had been well established. By that time, punk music had grown in the UK and America, and their distaste for society and the world fueled their movement. In its heyday, punk was loud and aggressive; and its devoted members reflected the ideals in their daily lives (such as wearing viciously aggressive and intimidating clothing). After it was well established, punk began to spread out and many subgenres of the music arrived on scene. Of these many genres, there was a persistent amount of darker music among them influenced by Gothic-literature and such 18th-19th century artists. It wasn’t until 1981 that the new genre was given the title of ‘Gothic’, and it stuck longer than any other title. The Goth movement is very similar to the punk movement in its sometimes aggressive styles and devout following of certain ideals similar to the punk movement’s ideals. Determining what-is-goth can be tricky, but mostly lies in our artistic expression. The fashion behind it came from the bands who dressed in all black; often supplementing their style with odd materials. Since then Goth has become a subculture of its own, complete with many diverse subgenres of its own music and sub-subcultures that follow said music. The Gothic-subculture as we know it today is vast enough to where anyone far removed from the movement still applies the name to anyone who dresses in all black. Most people have no idea what-is-goth or what it actually stands for. 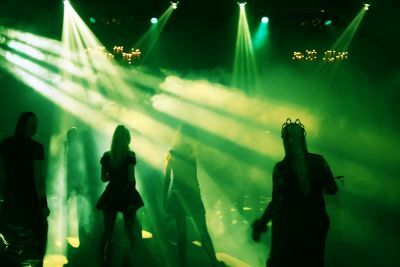 It is primarily kept alive in larger cities, where Gothic clubs can receive a good amount of patronage, and is especially more focused in the UK where it began. There exists a wide amount of misconceptions about Goths. Sadly, these misconceptions are more well known than our actual ideals and history; many of which accuse us of acts of violence, suicide, and other harsh verdicts. A true Goth would do nothing you hear about in popular culture; but people who do those things are often associated as Goths by society, out of fear and a lack of understanding as to what-is-goth and what is not. A common idea is that being Goth is just a ‘fad’ or a ‘phase’. For kids that know nothing about the subculture and just want to be noticed, this would be true. For those of us who actually take interest in the subculture and have had an active participation in it, being Goth isn’t just a phase. We carry it with us into our adult lives; as age goes on our styles become far less extreme, but we never completely abandon it. Perhaps the most pervasive ‘ideal’ about the subculture is the whole “I’m a nonconformist just like you” hypocrisy because we all “look the same”. From an outsider’s point of view, we do all look alike; just as everyone in the mainstream culture looks alike from our perspective. The idea of nonconformity is present in the subculture (and originated from the punk movement), but not in the way that most people see it. We each have our own unique tastes and styles when it comes to interests and appearance. Fortunately, most Goths tend to have a sense of humor when it comes to our common fashion sense. One of the most consistent ideas is the association between ‘emo’ and Goth. In modern stereotype, emo is classified by specific fashion trends (tight pants, tight shirts, emo swoops), and the nihilistic (yet very funny) phrases they are assumed to utter on occasion. Emo tends to be a fad during adolescence, and typically dies off during young adulthood. Unfortunately, I’ve met many people who can’t tell the difference between us. As the stereotype goes, emos are obsessed with suicide, self-mutilation, and nihilistic remarks about life. Alongside those, they are supposedly notorious for trying to be nonconformist by dressing in emo attire. Many ideas float around as to why they do this, but I prefer the idea that they just need attention. Emo music (though all bands under that genre loathe the name) is mistaken for punk; it came from punk, but absolutely isn’t representative of the punk movement in any way. Goths on the other hand are more unified, and tend to stick together whereas the stereotypical emo sits alone. Goths tend to be relaxed about life and the way people see them; they don’t mind if you call them Goths (though they might go into a dissertation on the differences if you call them an emo). Unfortunately, there isn't much of a code as to what-is-goth and what is not. The only real existence of any kind of code is the dress code at Gothic clubs. But there are a few common differences. Emos tend to be nihilistic, push others away, and are sometimes loose cannons; they also become overly defensive when called an emo. In many ways, emos tend to become their own self-fulfilling prophecies while Goths strive to please themselves only. If all else fails, and you still find yourself unable to tell the difference, look up pictures of Goths and emos; all the while asking yourself which ones you would rather be in a fight with. More often than not, Goths are going to appear tougher. A search on DeviantArt might clarify what-is-goth and what is emo. So, now that you have a basic idea of what-is-goth and what we’re all about, take a look around the site for more information into the various aspects of our lives and culture!